How often do you end up delaying the use of QR codes in a client’s campaign because you have trouble figuring out how to create one? Although plenty of information is available on the benefits of using QR codes and how successful brands have been reaping QR code benefits for a long time, there isn’t much guidance on how to create these QR codes. To simplify the use of QR codes for marketers and designers, we are introducing Beaconstac’s free QR code generator. With Beaconstac’s QR code generator you can now create QR codes and launch full-fledged QR code marketing campaigns in print ads, posters, display signage, and even business cards. Create your static QR codes which are free forever through the free QR code generator. Turn a regular black & white QR code into a colorful one by choosing colors that go with your business and campaign theme. Incorporate your company logo within the QR codes to make them more personalized. Multi-campaign QR codes or dynamic QR codes allow you to use the same QR code to set multiple campaigns. A dynamic QR code enables you to fine-tune your marketing campaigns based on date and time. You can choose to schedule a special offer campaign for every season, or you can also choose to update your promotions and offers based on high traffic time of the day. With Beaconstac’s multi-campaign QR codes, all your hassle-free promotion dreams are one step away. Know more about multi-campaign (dynamic) QR codes. Track the number of scans for your QR codes with Beaconstac’s intuitive dashboard and analyze the results obtained to witness the effectiveness of QR code marketing campaigns. Learn how to scan QR codes. URL QR code: Increase website traffic by driving customers to your website’s landing page. SMS QR code: Generating leads is now more viable with SMS QR codes. Just prefill the text and contact details to help users quickly get in touch with you. Call QR code: Allow customers to make a quick call to you by linking QR codes with your phone number. Email QR code: Enable customers to get easy access to pre-filled email address & messages by connecting QR codes to email service applications. VCard QR code: Get added to your customers’ contact list by helping them save your contact details effortlessly with the scan of a QR code. Plain text QR code: Add product information or specific usage instructions on a plain text and help your customers discover the information with a scan. PDF QR code: Link QR codes to a detailed document such as your business services brochure, product catalog or instruction manuals and tutorials. MP3 QR code: Increase in-store customer engagement by providing them with music playlists and podcasts. Image QR code: Boost customer experience by assisting them with quicker decision making. Deliver a variety of product images directly on the customers’ smartphones by connecting QR codes to Image galleries. App download QR code: Make it simpler for customers to access and download your app by driving them to the app store. QR Code use-cases in proximity marketing. Printing QR codes in PNG format is a convenient way to use static QR codes generated from the free QR code generator. SVG & EPS formats come in handy while printing dynamic multi-campaign QR codes generated through an upgraded plan. Some benefits of SVG/EPS formats over PNG is that they are easily editable without losing the resolution and image quality, and they are compatible with both Mac & PC devices which make them print-ready. Sign up for an account with Beaconstac to download print-ready QR codes in SVG/EPS formats. Want to create free QR codes for your business? 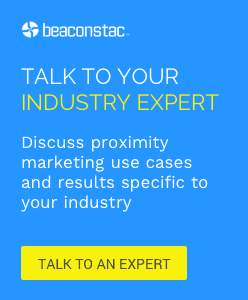 Explore Beaconstac’s QR code generator or schedule a demo with our proximity marketing expert who can guide you.